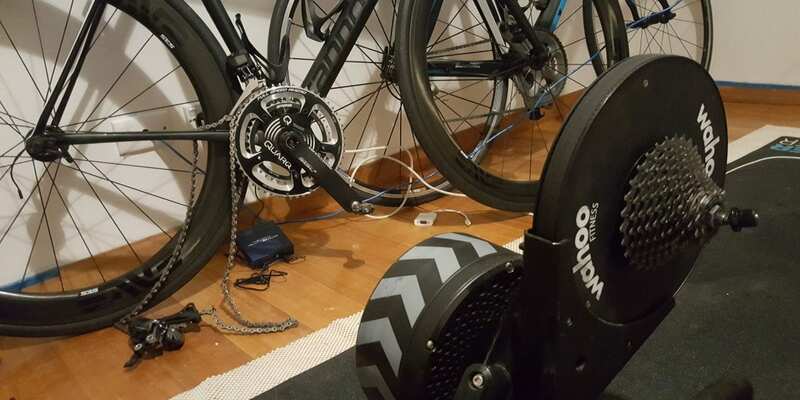 Zwifter Greig Watson recently shared an incident on Zwift Riders Facebook group which should serve as a warning to all indoor riders. So costly but could have been a lot worse! I’m now using my old bike on the trainer and have a steel skewer (which has survived the CHOP, so I hope it holds up). The culprit? A flimsy quick release skewer. 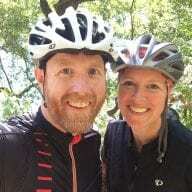 Greig was using the Wahoo skewer supplied by his bike shop, which was the skewer shipped with his 2018 Kickr. At first Greig thought his shop had made a mistake, but further discussion with Zwifters has brought to light that Wahoo is now shipping aluminum skewers with 2018 Kickrs instead of the heavy-duty steel ones shipped with previous models. If you are using the aluminum skewer (it has a black handle instead of shiny metal) on your Wahoo Kickr (or any trainer) I would highly advise you to swap to a heavy-duty steel skewer, such as this one which Wahoo sells. Stay away from lightweight titanium skewers when riding indoors as well. If you don’t hammer out of the saddle and you’ve got your quick release installed properly, you probably have nothing to worry about. But I would say “better safe than sorry” when you look at the low cost of a beefier skewer vs the high cost of replacing bike parts! Absolutely! 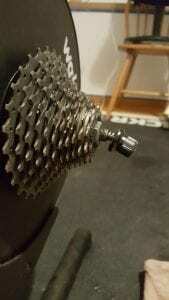 Always use a steel QR on the turbo and check that it’s still closed tightly before each ride. Could be quite painful and expensive if your bike jumps out of the trainer (and cost you the “win” on a race, lol). I have always used a much cheaper bike than my expensive carbon bike. Set the bike up the same as your good outdoor bike and use it as the main bike for the trainer (nothing else). 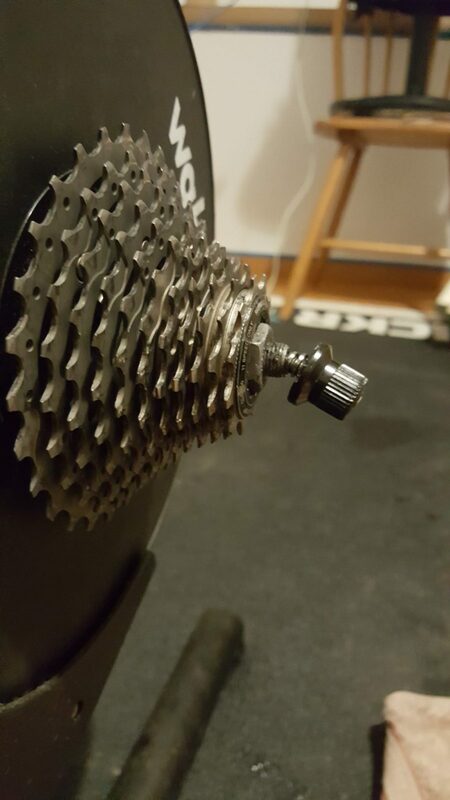 Look around on Craigslist, in your LBS for a used one, and leave it on the trainer always. Just don’t risk messing up that favorite road bike. This. I am lucky enough to have a dedicated training space and spare bike built up for trainer duties only. It remains set up and ready to (virtually) roll at all times. If you’ve got the space and resources, it’s the best way forward. What about Thru Axle attachments? (i.e. if you’re running disc brakes)… should we be changing the thru-axle skewer to steel as well or are the forces different for that? do you think it’s safe to pop out of the saddle on the bike on a Wahoo Kickr? I’m wondering if the forces torqueing through the frame are different because the tyre doesn’t move on the road but is locked into a steel case. 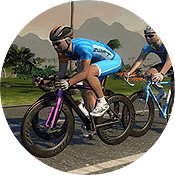 This incident seems to reveal continued issues with the current production of the 2018 Kickr. Seems to me they are cutting some significant corners and this incident is just another sign of a seeming shift in Wahoo production quality. I”be had my Kickr Snap skewer break off on the end where it meets the locking mechanism (twice). Luckily it hasn’t occurred while riding. I’m a novice rider so it can’t be my power output or weight. It’s seems that hat the skewer is too long and protrudes into the locking mechanism and the stress snaps the tip off the skewer. Any suggestions?